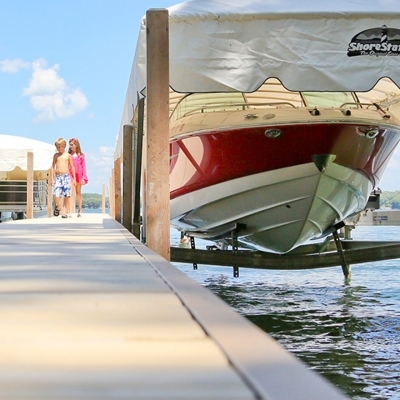 As you know, sometimes the water can get a little rough, and there’s no easier way to protect your boat than a boat lift. Water is a natural solvent, and, as such, can cause your hull to wear down faster if your boat is constantly left in it. 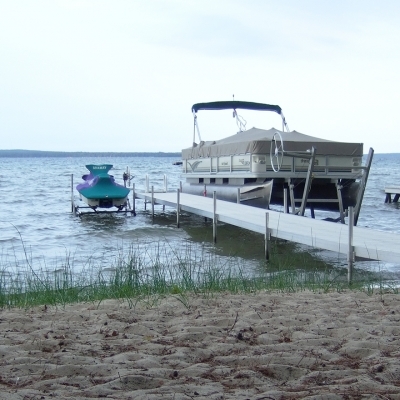 If your waterfront has a lot of algae, a boat lift can also save you the trouble of scrubbing all that hard-to-remove scum from the bottom of your boat. 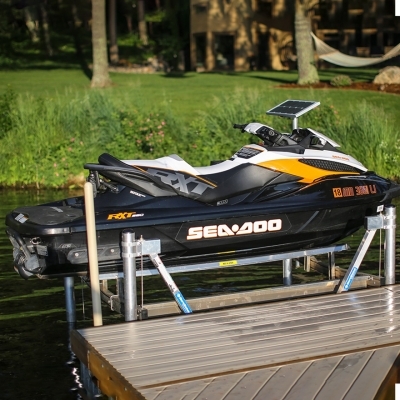 Docks Unlimited sells an assortment of boat lifts, as well as jet ski lifts and PWC lifts. 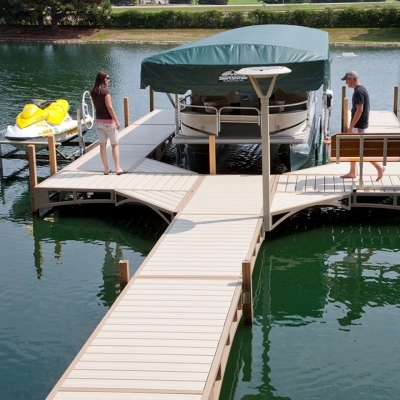 Whatever your situation, Docks Unlimited can help you find the right lift for your watercraft. With our different lifts, getting your craft in and out of the water has never been easier. Sail through the options below to get started or check out our gallery to see boat lifts in action.